A series of optional interface cards, designed to fit either the local rack or Compact Stagebox, and in some cases also the Vi Stagebox, enable Vi Series™ consoles to interface directly with a wide range of other systems and audio networks using industry standard protocols. A series of optional interface cards, designed to fit the Local Rack, Compact Stagebox, Vi1, Vi3000 and in some cases also the Vi Stagebox, enabling Vi Series™ consoles to interface directly with a wide range of other systems and audio networks using industry standard protocols. 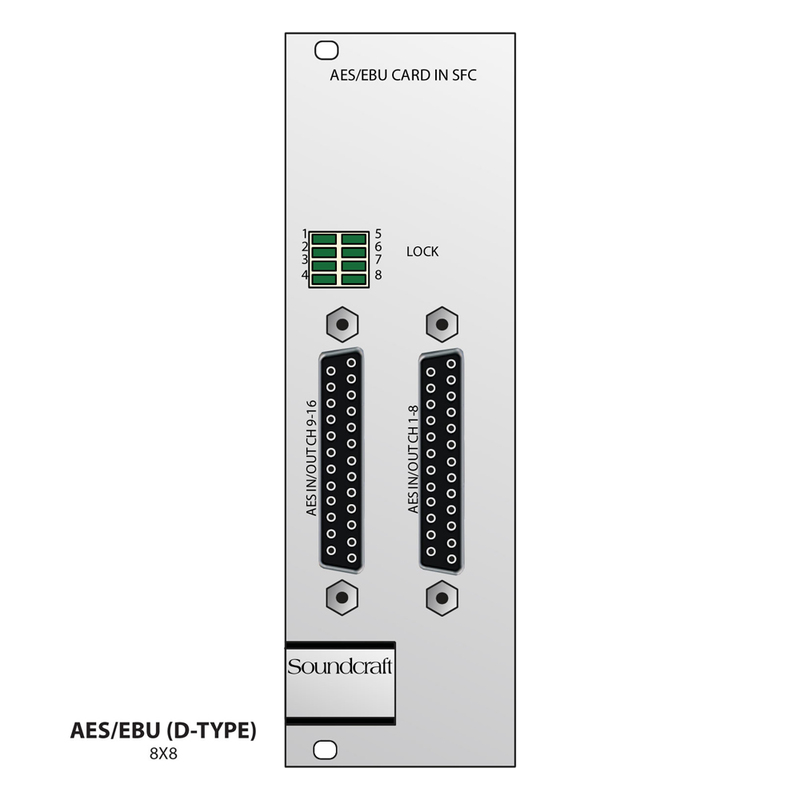 AES/EBU input/ output card with 16 Ch I/O. With input SFCs only. Input SFCs can be bypassed individually. Output dither is selectable for every AES/EBU output from 24 bit, 20 bit, 18 bit or 16 bit. Settings are made with jumpers. Inputs and outputs on standard 25-pin D-type connectors (female).